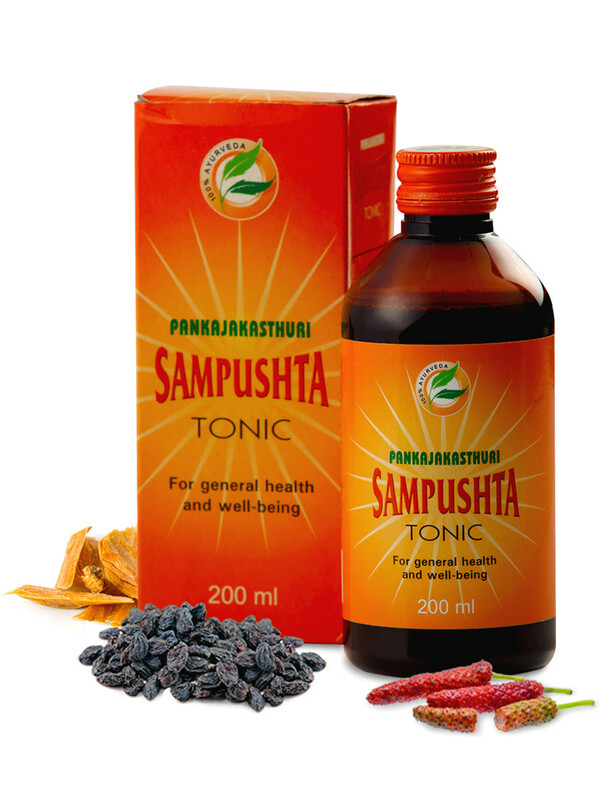 Sampustha is prepared with the goodness of Dasamoola, Aswagandha and many more. 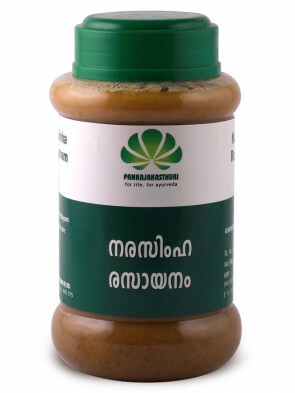 Dasamoola is a cardiac stimulant with excellent rejuvenatory action, while Aswagandha is a widely accepted general tonic. 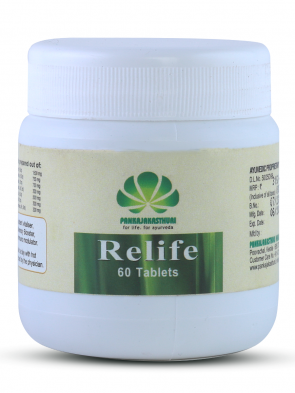 * The synergic action of these drugs has been found effective for general debility, convalescense, post-operative fatigue, loss of appetite and anorexia. 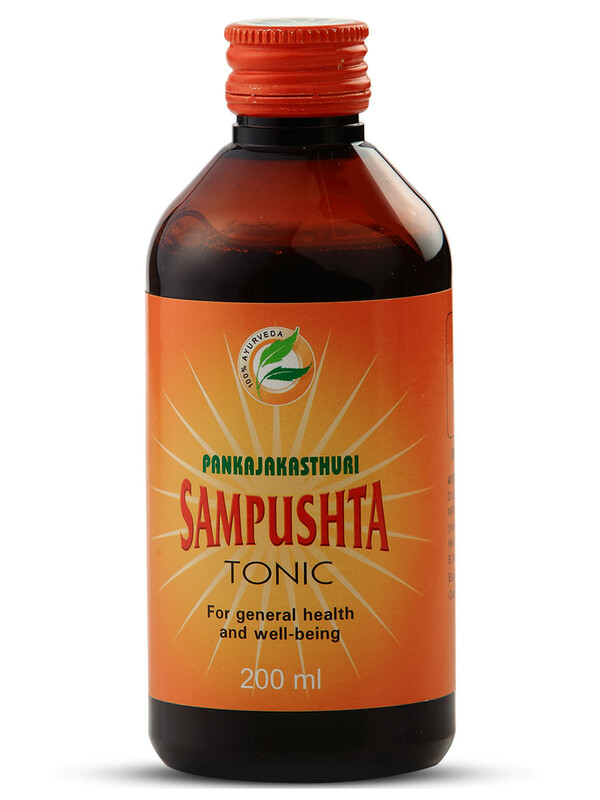 * A perfect positive health promoter, and a general tonic for all ages, Sampushta is also an appetizer and immuno-modulator. 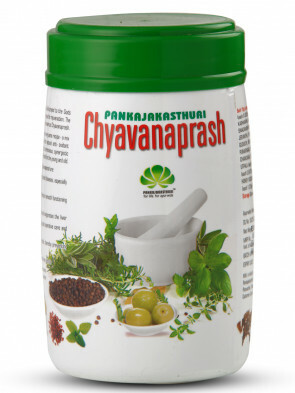 * It regulates normal hormonal functions, nourishes immunity and is rich in antioxidants. 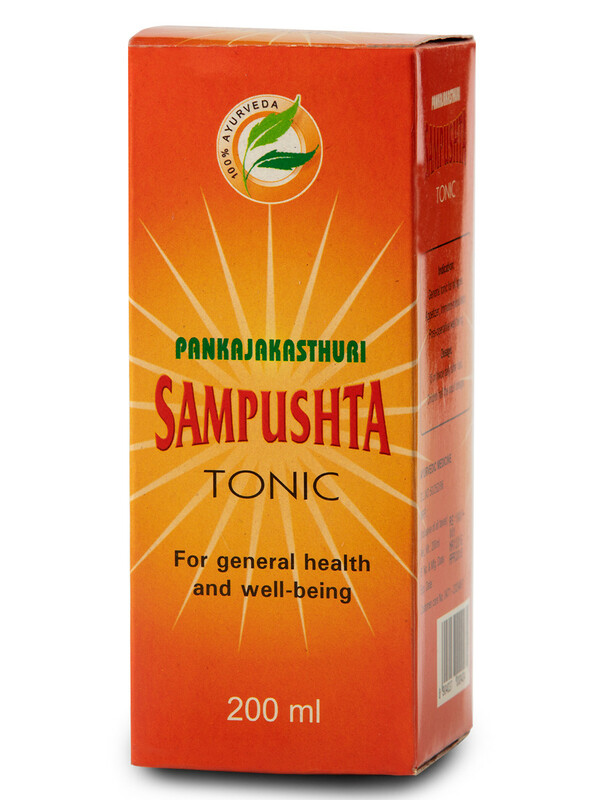 * This tonic aids in speedy recovery after viral infections, surgeries etc. * No diet restrictions. Better to take after food. 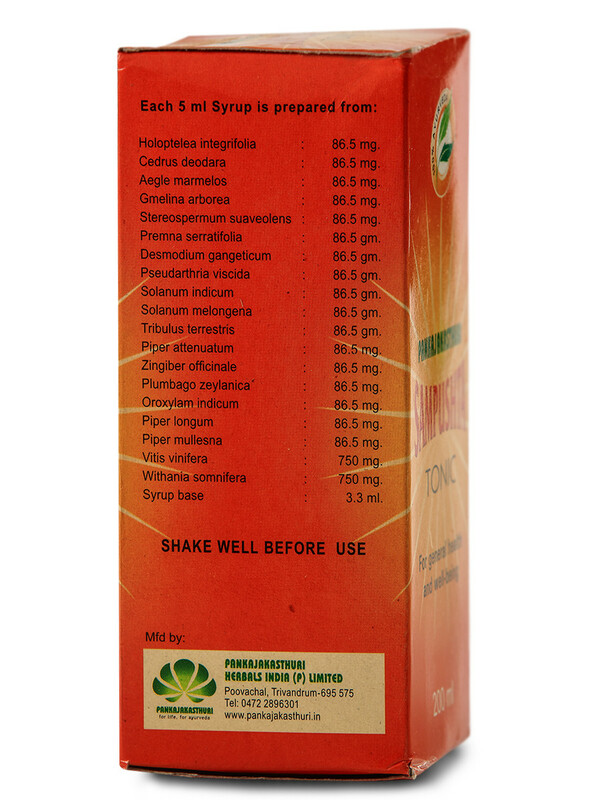 Adults: 15 ml twice after food. 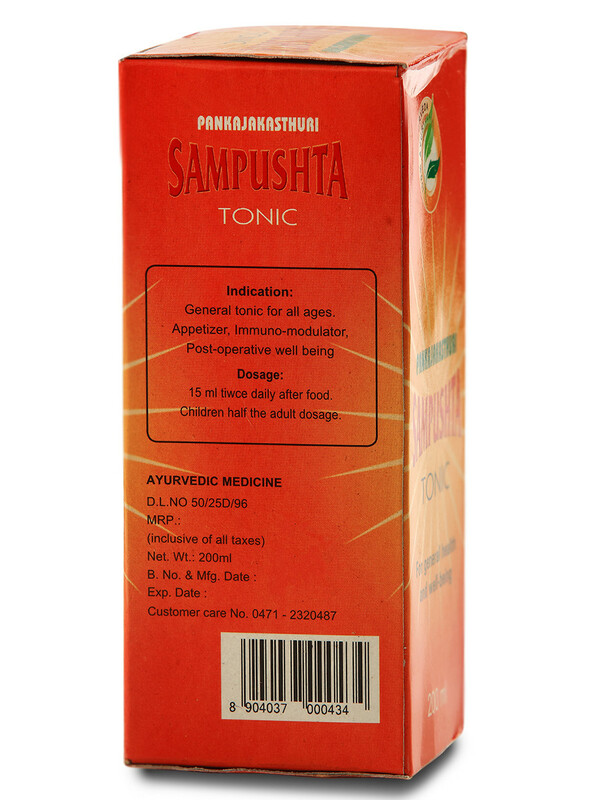 Children 3-12 years: 10 ml twice after food. Below 3 years : 5 ml twice after food.